Communication skills, perseverance, commitment, learning ability, punctuality, ambition and responsibility. In 2011 took part in the competition IT Quiz on HTML 5 with Microsoft, and entered the top 20 place out of 5,000 participants by the number of correct answers. App-log is an eCommerce platform, which allows to manage and analyze customer interactions and data throughout the customer lifecycle, with the goal of improving business relationships with customers, assisting in customer retention and driving sales growth. 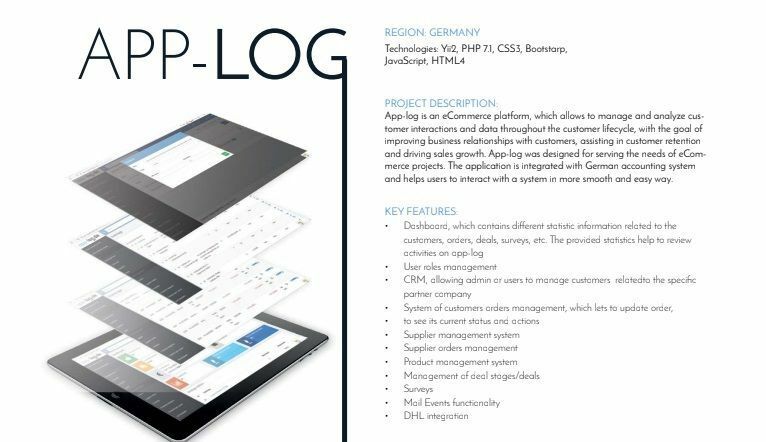 App-log was designed for serving the needs of eCommerce projects. The application is integrated with German accounting system and helps users to interact with a system in more smooth and easy way. 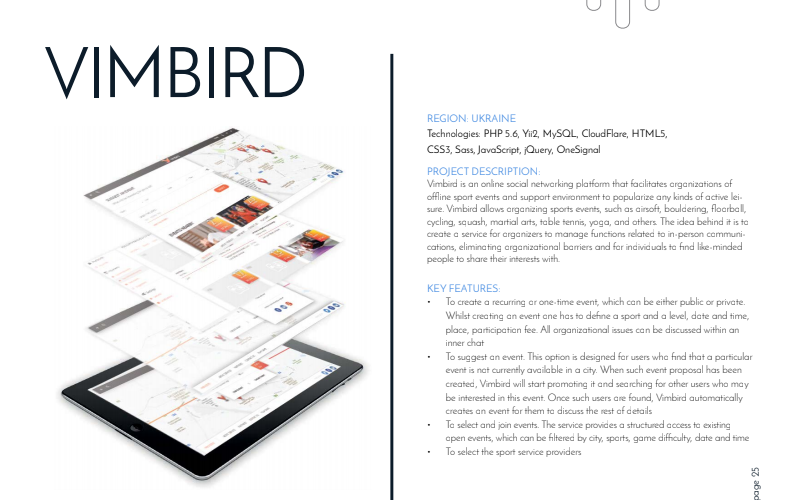 Vimbird is an online social networking platform that facilitates organizations of offline sport events and support environment to popularize any kinds of active leisure. 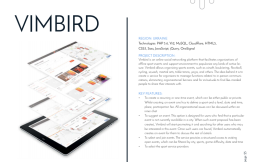 Vimbird allows organizing sports events, such as airsoft, bouldering, floorball, cycling, squash, martial arts, table tennis, yoga, and others. The idea behind it is to create a service for organizers to manage functions related to in-person communications. 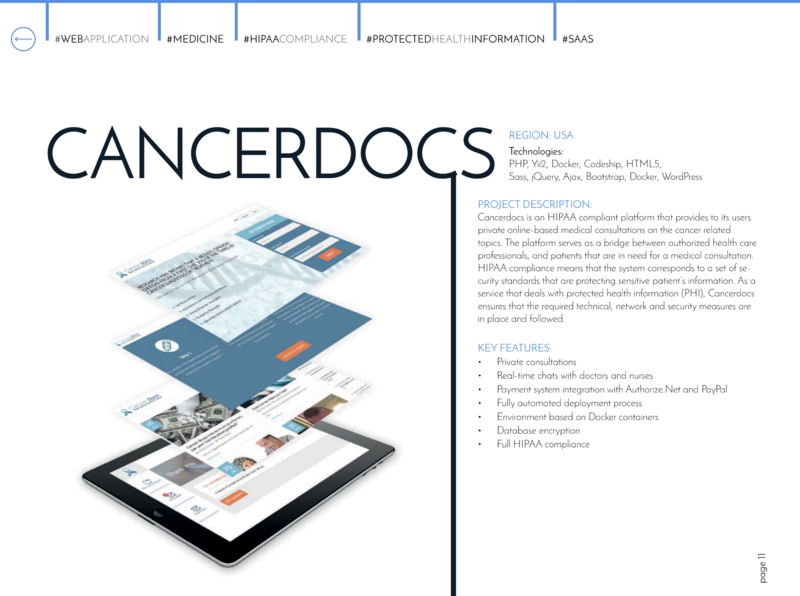 Cancerdocs is an HIPAA compliant platform that provides to its users private online-based medical consultations on cancer related topics. The platform serves as a bridge between authorized health care professionals, and patients that are in need of a medical consultation. HIPAA compliance means that the system corresponds to a set of security standards that are protecting sensitive patient’s information. 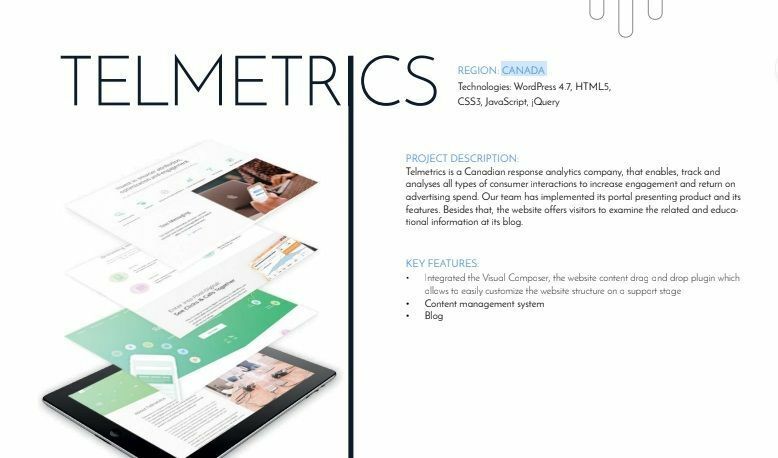 Telmetrics is a Canadian response analytics company, that enables, track and analyses all types of consumer interactions to increase engagement and return on advertising spend. Our team has implemented its portal presenting product and its features. Besides that, the website offers visitors to examine the related and educational information at its blog.